The last few weeks before Christmas are almost *always* packed with parties and fab festivities. Which means not only do you have to figure out what outfit and makeup you'll be wearing, but also what hairstyle you'll be showing off. If you've gotten bored of repeatedly straightening it or curling it and are seeking some inspo for tomorrow night's Secret Santa party, we've got you. Here are a few fun (and most importantly, easy!) looks that will make you the star of the show. 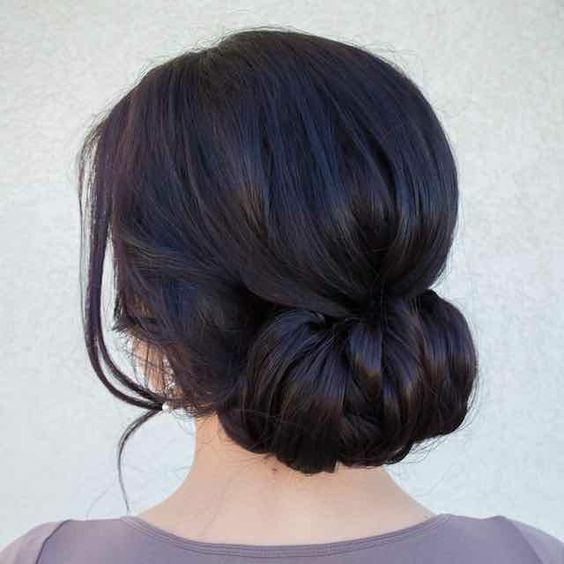 The elegant chignon is super chic and perfect for when you want your hair out of the way while still looking polished. Follow these four simple steps to achieving this sleek style. This *crazy* cute bow look is perfect for any holiday shindig. Plus, its way easier than it looks, thanks to this step-by-step tutorial. 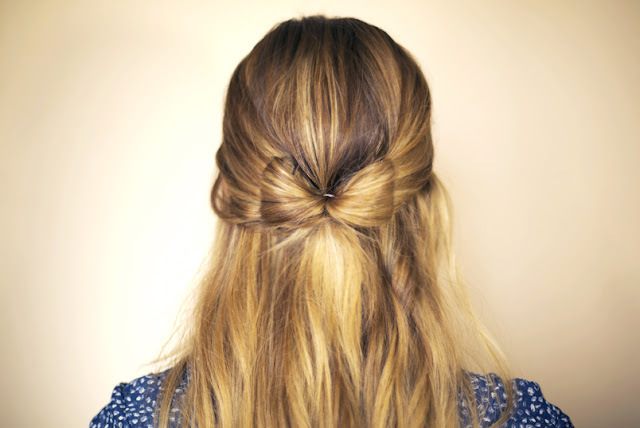 If you want a low-key look, make a middle part and take a section from each front part of the hair, then pin it back. Adding a few pretty hair clips like these ones from Anthropologie will pull it all together. For straight hair, try curling your tresses loosely beforehand for extra wow factor. 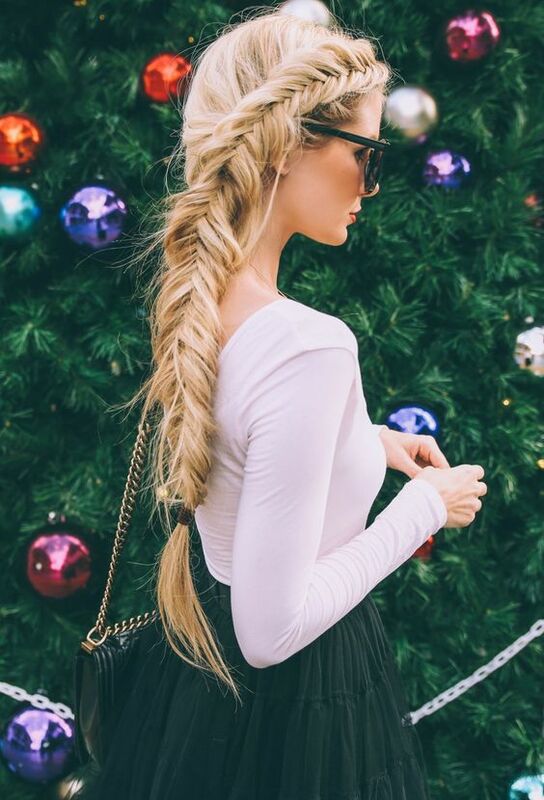 Fishtails and mermaid braids are always stunning—but they're not necessarily great for beginners. We recommend getting a friend to help you do this tricky twist if it's your first time. The best thing about this hairstyle is that you can wear it on second-day hair—meaning more time relaxing and less time shampooing. 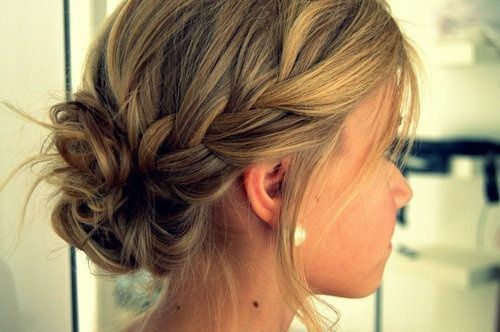 For a playful vibe that works especially well for longer hair, go for a high braided pony. 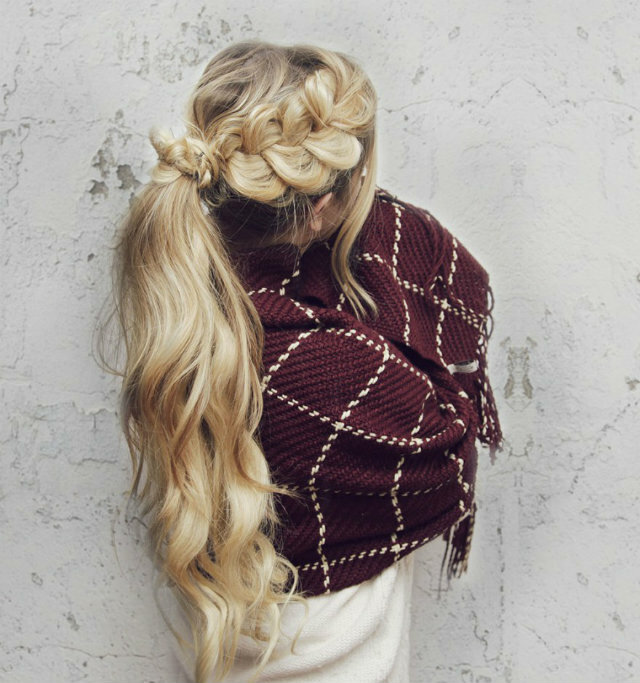 What's your go-to holiday hair look? Share in the comments! Photo credit: Mod Wedding, The Hairstyler, Barefoot Blonde.